Green and eco trends are some of the most enduring of this decade, touching almost every part of our lives. We've already written about small distillers like Fair Quinoa Vodka that are incorporating trendy, sustainable, organic ingredients. 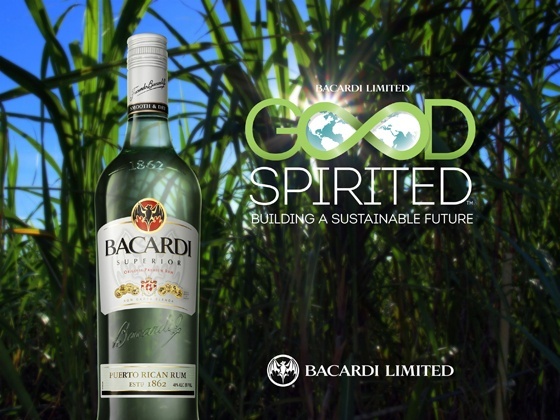 Now, Bacardi, the world’s largest rum distiller has announced it will obtain 100 percent of the sugarcane used to make its rums from certified, sustainable sources by 2022. The pledge is part of a cross-industrial movement towards sustainability and corporate responsibility that is infiltrating the thinking in boardrooms around the world. Companies don't operate in silos but are part of the fabric of communities and nations. Their products and way of doing business reflect the thoughts and feelings of their customers and the zeitgeist of the world around them. As Mitt Romney famously said, "corporations are people too, my friend." At least, they are comprised of people who are coming to the widespread conclusion that being good custodians of this planet is not just moral, but good business sense as well.